In the late 90’s I was thinking about how any two people could be exposed to the same phenomenon and perceive it differently. Furthermore, how could two people evolve different belief systems — even diametrically opposed — from exposure to a shared set of experiences. What follows is a summary of the thought experiment that followed, that has become known as the Flower Grid, as well as the drawings, models, and images that were produced. The development of these concepts occurred between the late 90’s and about 2007. The development of this study is related to the origins of the development of the Painting for Life. I am posting this material now because it has recently come up in some discussions and I presented it to a group. To understand how people parse reality, and how they can read different order into the same reality, I thought of a geometric thought experiment, since most concepts that I learn and phenomena that I perceive are converted to geometric forms, flows, and relationships in my mind’s eye. 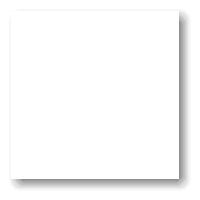 In this thought experiment, I thought of a blank surface as an undifferentiated, underlying reality. 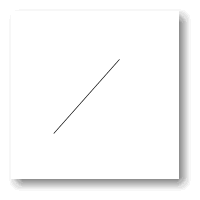 The simplest way to represent parsing the reality represented by this canvas is to add a single line to the blank surface. I began to think of people’s perceptions and belief systems as grids of lines on a blank surface. Now some of the grid lines are projections of a person’s perceptual systems and some are independent mental constructs. But many of the grid lines are constructs offered by society that a person chooses to adopt. Given this, even the grid is mostly constructs already overlaid on the underlying reality by others that a person perceives and then chooses to adopt or reject. 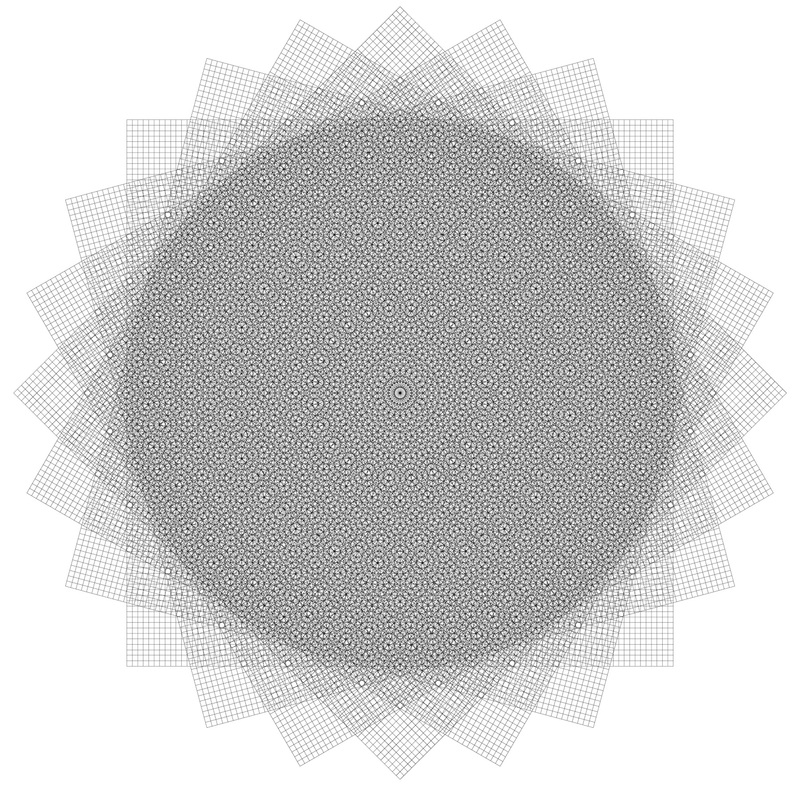 So can there be emergent orders perceived in the grid of constructs? Can any two people experience the same grid of constructs parsing reality and develop two different sets of propositions (even belief systems)? To address these questions, I reasoned that I needed a more complex grid and to see if emergent orders could be perceived in it. 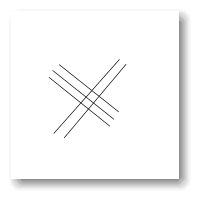 The simplest way to construct a complex grid at the time (I was still using paper and pencils) was to rotate a square grid about an axis. In doing so, the Flower Grid was created. 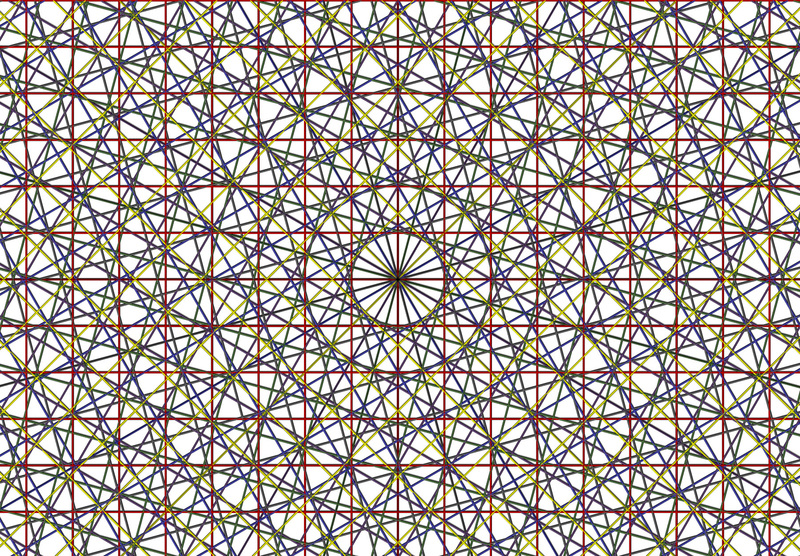 The flower grid manifests simple and complex relationships and orders within it. At its center, the simplest and most rigid order is manifest. Imagine a person whose world view was limited to simple, rigid, spartan rules that align perfectly and are inflexible. Of course, as one moves away from the center, increasing levels of complexity occur, some more chaotic, some more ordered. Next, I made a 3D model of the Flower Grid, that became known as the Flower Cube, and made an animation in which a camera moved around inside of the Flower Cube. Here is the movie of moving around inside of the Flower Cube. And here are some stills of the emergent orders that are perceived from what is an underlying, static set of constructs on a blank canvas. This thought experiment led me to conclude that there is a way to geometrically represent the phenomenon of people experiencing a phenomenon and yet developing different accounts of the order and meaning of the phenomenon based upon their respective perspectives onto the phenomenon.